Meredith, a Midwestern staple, prepares to slash costs at New York's Time Inc.
Meredith Corporation, based in Des Moines, Iowa, and owner of home-oriented magazines like Better Homes and Gardens and Family Circle, is about to take over New York-based Time Inc.
Let the culture clash begin, along with significant cost-cutting. The $2.8 billion acquisition, backed by the Koch brothers, was formally announced on Sunday. 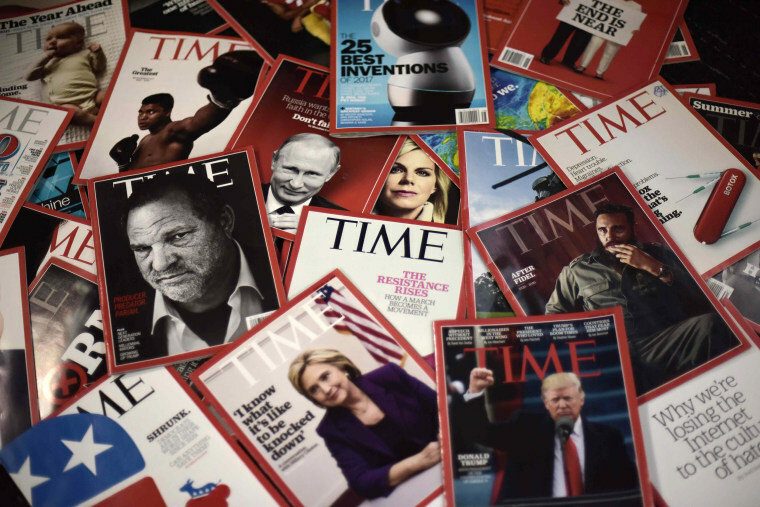 On a conference call with analysts, Meredith executives said they will review the magazines in Time's portfolio with an eye on potential sales, possibly enough to generate up to $500 million in cash. Executives have also hinted that ending Time Inc.’s lease on office space in Battery Park City in downtown Manhattan is one possibility for cost savings, while other options include eliminating duplicate employees. Reed Phillips, managing partner at the investment bank Oaklins, DeSilva & Phillips, said one of the main differences between the two companies was salaries. A spokesman for Meredith, Art Slusark, said it is too early to talk about job losses. Time Inc.'s roster includes People, Time, Fortune, Sports Illustrated and Entertainment Weekly. But despite those powerhouse names, the company has struggled to stem a loss of print ad revenue while trying to stoke digital ad growth. Tom Harty, Meredith's president and chief operating officer, told analysts that some of Time Inc.’s misfortune was its own fault. Meredith, he said, had experienced a low decline in print advertising, while Time Inc. magazine advertising fell at a much higher rate. “We’ve kind of outperformed them 2-to-1, and we believe that that’s really related not to the marketplace but really related to them changing how they went to market," he said. "We think we can reverse that trend." Meredith has made previous attempts at acquiring Time Inc., but said earlier that it did not want a newsweekly like Time magazine. Those remarks have prompted a widespread expectation that Time and other flagship titles may be sold by Meredith. Meanwhile there’s been much comment on why Meredith is partnering with Koch Equity Development to fund the deal. The politically active billionaire Koch brothers, prominent in the conservative movement, are investing $650 million as part of the transaction. They will have no board seat or involvement in the business, Meredith said in announcing the deal. Huey described watching the drawn-out sale process — which at one point included interest from the owner of the National Enquirer — as akin to "the end stages of cancer." Huey added that he believes Meredith knows how to run a magazine business, but said that “people with a political agenda clearly have their eye on the two most influential of the magazines," Time and Fortune.